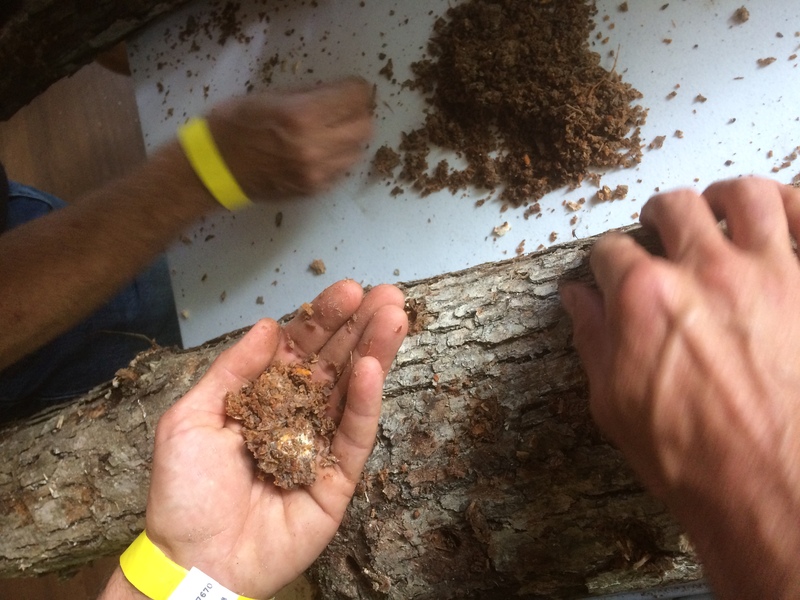 CRAFT farm interns Rocky Ramos (Green Toe Ground) and Andrew Acosta (Goldfinch Gardens) attended Tradd Cotter’s Mushrooms, Molds, and Mycorrhizae: Infinite Possibilities for Innovation workshop at the 2018 Harvest Conference. 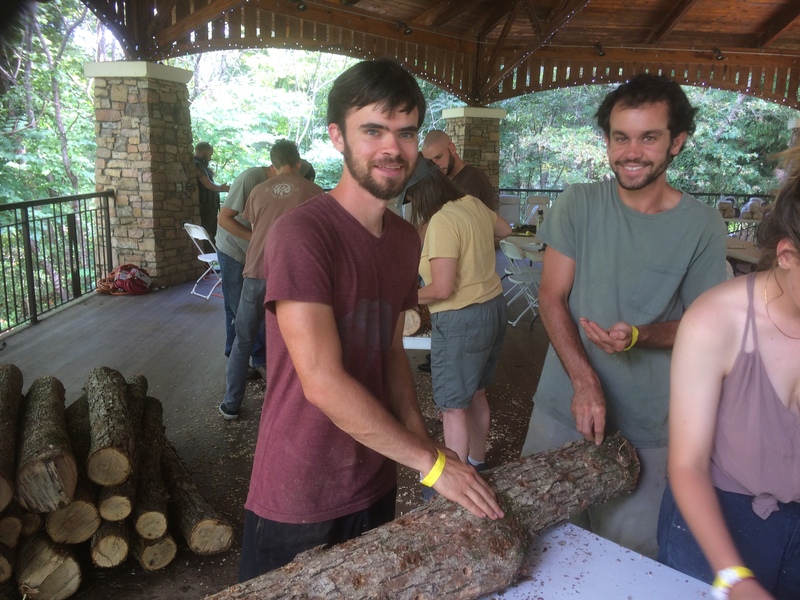 They were both awarded scholarships through OGS’ partnership with The Appalachian Beginning Forest Farming Coalition. The workshop consisted of 2 days of presentations and hands-on activities relating to our fungal allies. Thanks to Andrew & Rocky for writing this reflection. Tradd Cotter is a mycologist, mushroom farmer, and author of of Organic Mushroom Farming and Mycoremediation. 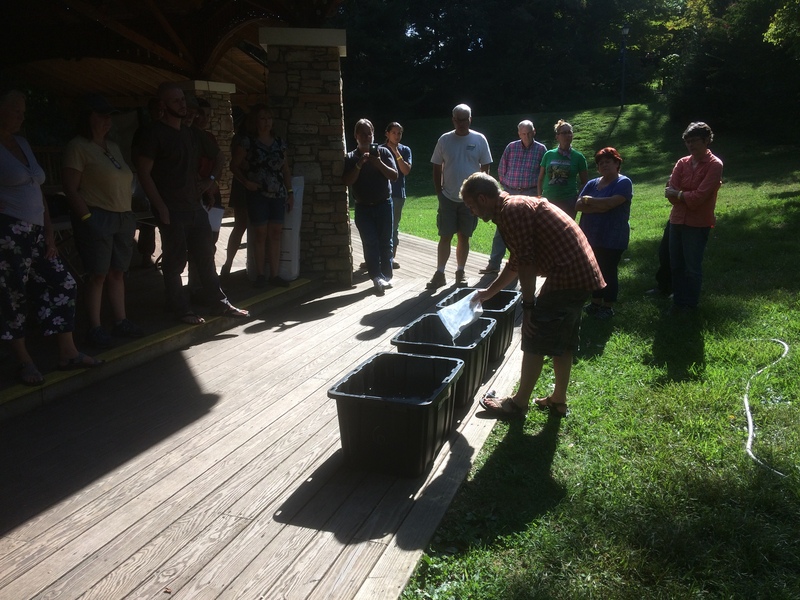 From his lab and farm, Mushroom Mountain, in Greenville SC, Tradd and his team promote the study of mycology, sustainability, and organic agriculture. 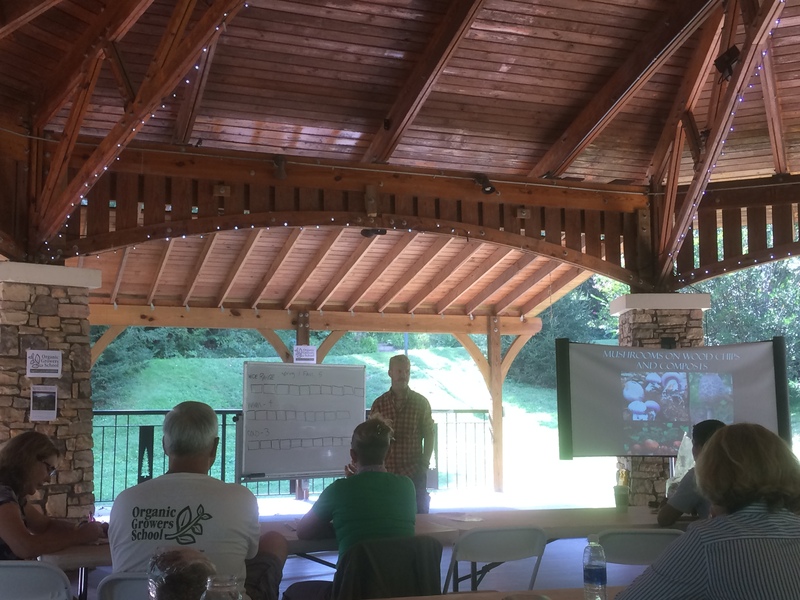 Cultivation was discussed at various scales, from large scale outdoor log cultivation to using oyster mushrooms to break down personal waste. The class drilled and inoculated mushroom logs and spawned mulch around campus trees. It is very likely that future visitors and students at Warren Wilson College will spot large Stropharia mushrooms as they walk the campus. The workshop ended with some examples of Tradd’s projects that he is working on (mushroom cutting boards and using fungi to deter and repel farm pests, for example) and how to use mushrooms to benefit your personal health. The engaging design of the lectures and Tradd’s humorous and compelling stories left the audience with a lot to consider. 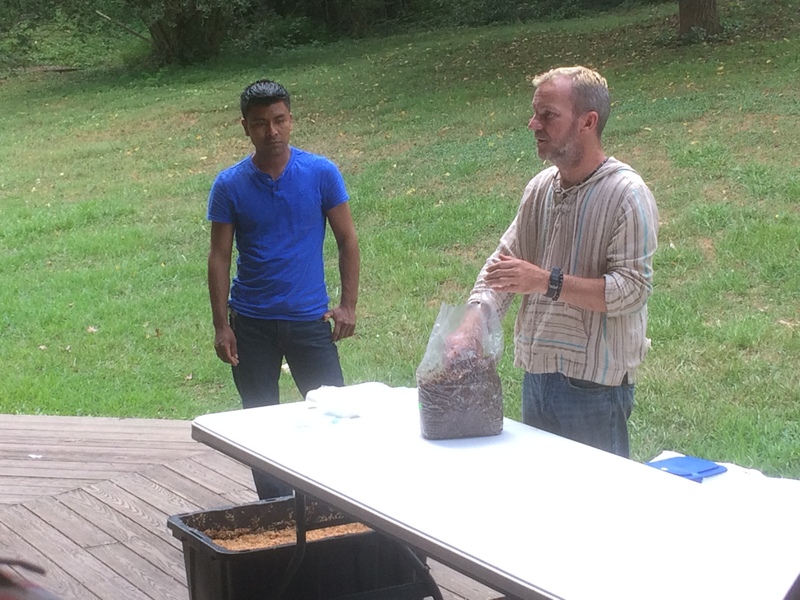 Andrew left with some ideas to modify his Shiitake log system and increased knowledge on identifying mushrooms. Rocky took away ideas on building soil and remediating pollution using fungi. Both believe that fungi have a place in organic farming with many possibilities to benefit soil health and personal health. 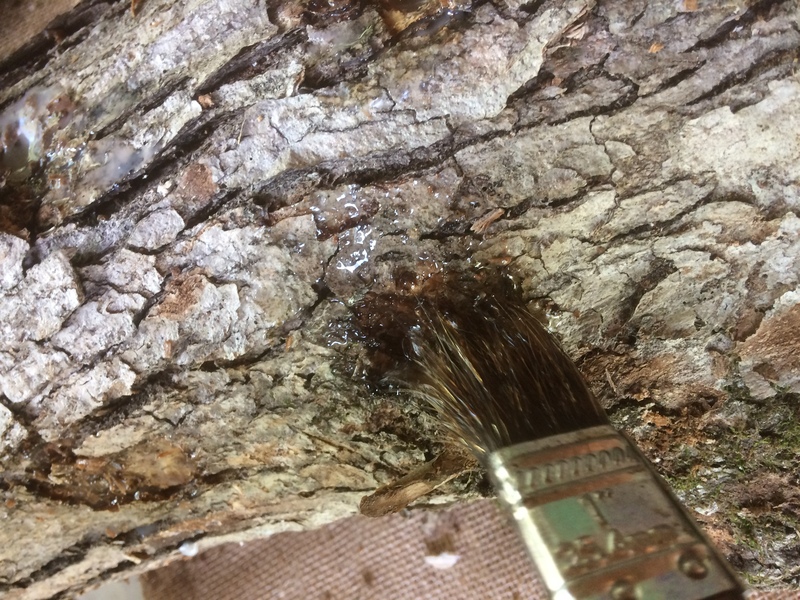 So for anyone wanting to get a start in growing mushrooms, it can be as simple as drilling a few logs or mixing spawn in with your waste. The possibilities really are infinite. To contact Rocky or Andrew about this experience, email them at Rockynramos@gmail.com or Acostadrew@gmail.com.